The GroFutures Team, working with the Tanzanian Ministry of Water and Irrigation, expanded monitoring infrastructure in the Upper Great Ruaha Observatory (UGRO) to include interactions between groundwater and surface water. An outstanding question regarding the sustainability of groundwater withdrawals for irrigation and drinking-water supplies is whether groundwater in the agriculturally intensive lowlands is replenished by river flow, sustains river flow, or both depending upon the season. To try to answer these questions, team members, Japhet Kashaigili, Richard Taylor and PhD student, Hezron Philipo, installed staff gauges combined with automated dataloggers measuring water pressure (height) and temperature hourly in the lowland areas of the Rivers Mbarali and Chimala where the GroFutures team of social and physical scientists is concentrating its research. 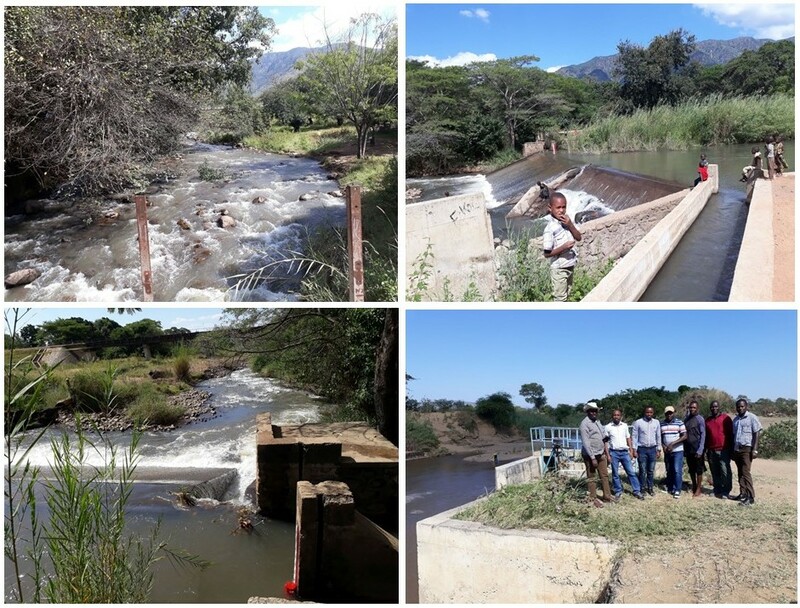 Chimala River in highlands of the Upper Great Ruaha Observatory – a river gauging station, and the GroFutures Team at Sokoine University of Agriculture (SUA) and project partner at the Rufiji Basin Water Board (RBWB) in the Tanzanian Ministry of Water and Irrigation. 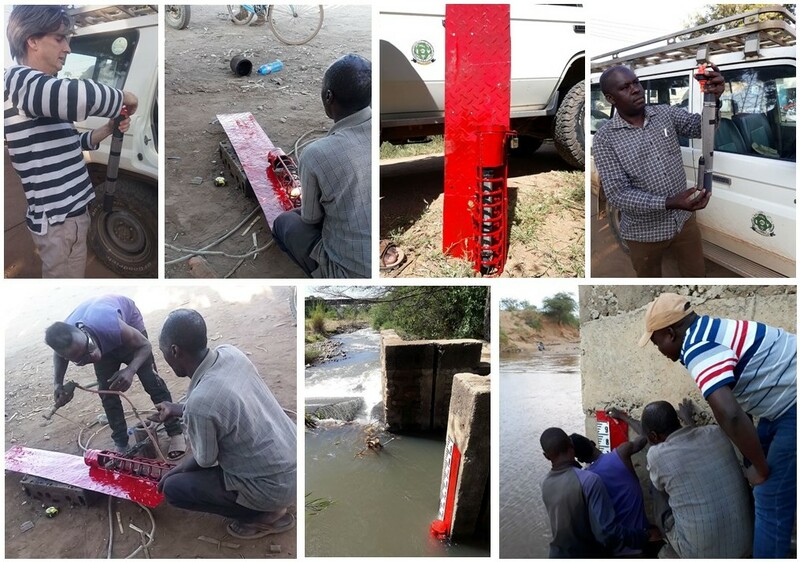 The installed gauges employ a new design pioneered by the team at the GroFutures Site Observatory at Makutapora in Tanzania and were constructed locally. Observations from hourly monitoring of groundwater levels (8 locations), soil moisture (2 locations), surface water levels (2 locations), and rainfall (2 locations) in collaboration with the Ministry of Water and Irrigation will enable the team to gain new insight into the pathways, timing and magnitude of groundwater replenishment as well as the interactions between surface water and groundwater in this region within the vital Southern Agricultural Corridor of Tanzania, known as SAGCOT. Engineering design, construction and installation of automatic dataloggers for measuring hourly water pressure (river level) and temperature in the lowland areas of the Rivers Mbarali and Chimala.